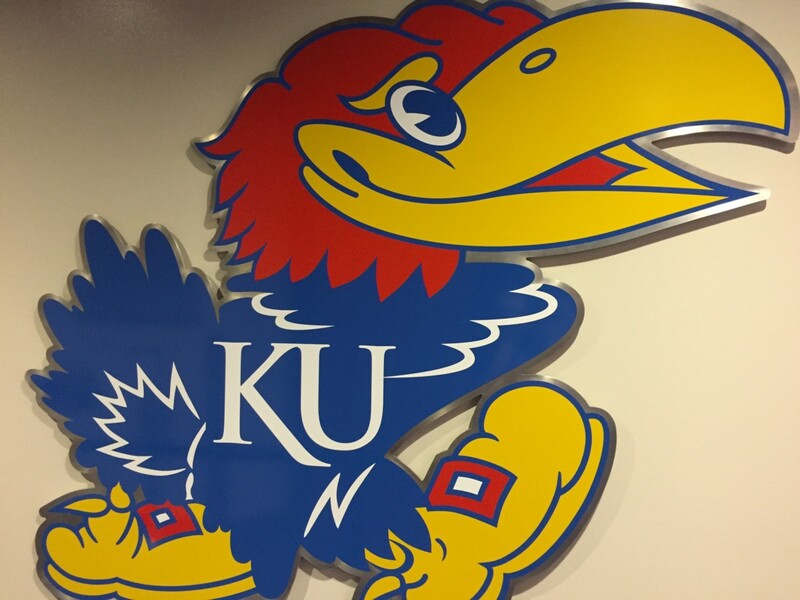 In this post ,we are going to look at the ceiling and floor for each Kansas starter that will be entering the NBA Draft field and show the absolute best and worse case situations that they will end up in. 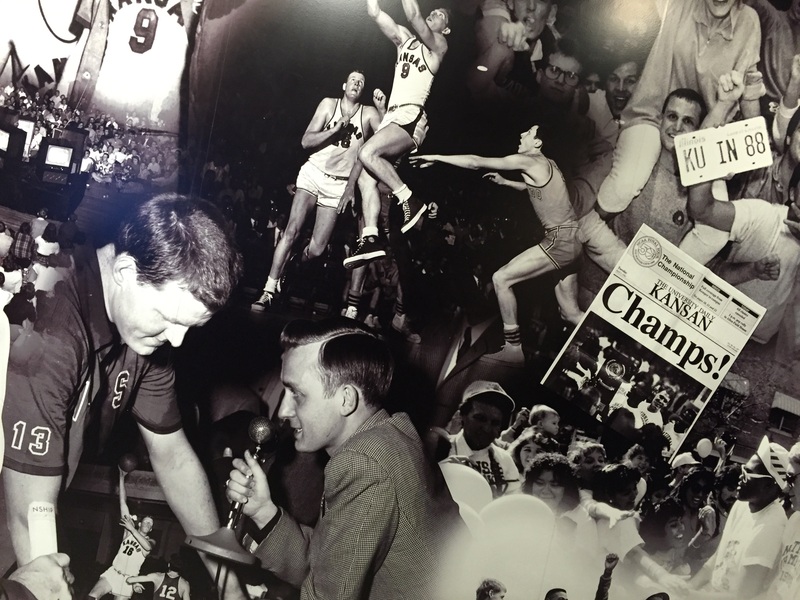 McLemore was the most prolific scoring freshman in Kansas history and if he ever manages to develop the “alpha-male” personality that he lacks then there is no doubt he could become one of the top scorers in the NBA. The most common comparison going around that involves McLemore is that of Ray Allen, however, McLemore has more of a complete offensive game, like Carmelo Anthony. 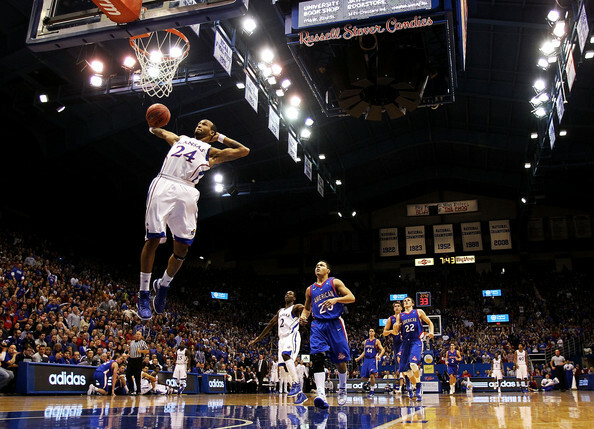 If taken by the right team McLemore could end up becoming the next great scorer in the NBA. While still early in his young career, Brandon Rush has certainly disappointed many who thought he was going to shine in the NBA. He hasn’t been terrible, but Rush has disappointed the scouts that were so high on him simply because he has an inability to take over games and dominate in the NBA. If McLemore never develops that pure-scorer mentality then he could essentially turn into Brandon Rush, a solid rotation player, even a decent starter, but nothing more. 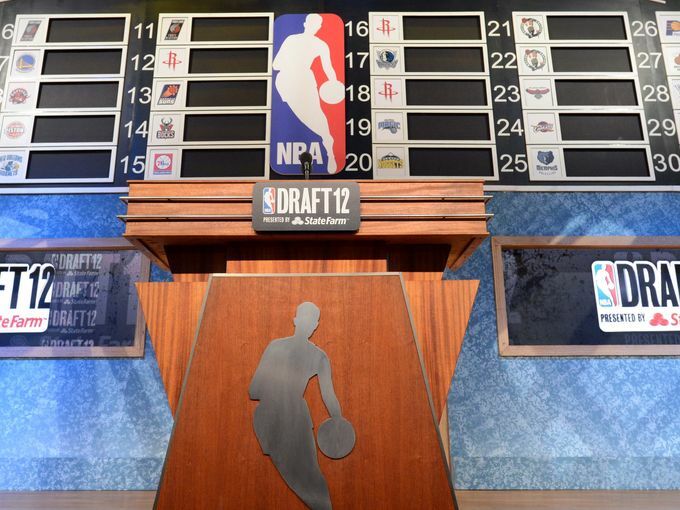 As the saying goes: Big men tend to rise in the NBA Draft. 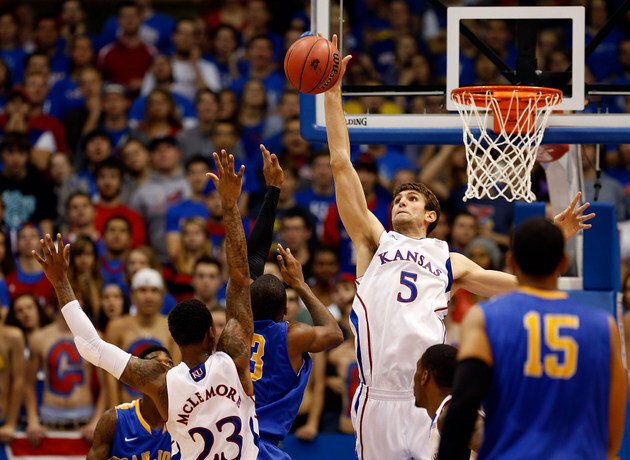 Jeff Withey will undoubtedly be drafted, and will likely start as a bench player, very similarly to Marcin Gortat. Gortat averaged no more than 4.2 ppg through his first four seasons, where he backed up Dwight Howard, but then he was traded to Phoenix and given a starting job. For his time in Phoenix, Gortat has averaged over 13 points and 9 rebounds a game, and he is a fantastic shot blocker. If Withey lands in the right situation he could develop and eventually become a solid starter in the NBA. When Cole Aldrich was drafted in the lottery, hopes were high. However, he has never quite turned in to the player that many thought he could become. H has only averaged 8 minutes a game for his career, but he has seen a recent increase, as that number rose to 11.7 minutes per game over his last 15. If Withey never develops an offensive game he will still have a place in the league, like Cole Aldrich, but he could end up stuck as a below average rotation player, although the likelihood of such is certainly small. Bruce Bowen was one of the NBA’s all time best glue guys and lock down defenders. He never averaged more than 8.2 ppg in his thirteen year NBA career, and only averaged more than 7 ppg three times, but he was certainly a key player, averaging over 27.5 minutes per game. His defense kept him on the floor, and it is because of that he is one of the most feared defenders in NBA history. Releford has that lock down defensive potential and is excellent at getting to the basket in transition, so it will be interesting to see if any team will give him a chance and sign him before the start of the next season. Ryan Ayers is a player that has not made it to the NBA, and it doesn’t look like he will anytime soon. He had a couple of stints in the NBA Developmental League, and also played in France, but ultimately he was never able to take his talents to the NBA. Ultimately the career of Ayers is one of disappointment, but also hope; hope that someday he will make the NBA. If Releford is unable to defend at the same level he is used to defending at, then he could become the next Ayers, and never taste NBA action. Before anyone gets any crazy ideas it should be restated that this would be the absolute best case for Young, and it would likely occur a couple of years down the road. Hakim Warrick has been a career bench guy in the NBA that has provided tons of energy (career total of 20.2 minutes per game) and has averaged less than 9.5 ppg for his career. He loves to dunk and sky for boards, and his energy, alongside his bounciness, has kept him in the league for eight seasons. If Kevin Young continues to develop a mid range jumper and continues to improve defensively then there is no reason that four or five years down the road he couldn’t become a solid bench performer, like Hakim Warrick. Nichols also came from a storied program (Syracuse), and he even managed a brief two-year stint in the NBA, but was widely unable to see any court time, averaging 3.2 minutes per game in just 18 appearances. For the most part Nichols was a strong D-League player, and he also spent time playing in France and the Dominican Republic. If Kevin Young remains at the same raw level, this could be his future, unless he decides to pursue a career other than basketball. For the majority of his career, Jackson has been a third-string point guard who has averaged 13 minutes and 4.5 points per game over his career. Because of his limited maturity and court vision, it is likely that this is the ceiling for Elijah Johnson, barring dramatic improvement. However, there is nothing wrong with seeing consistent minutes in the NBA, any player would tell you that. After shining at Kansas State, Jacob Pullen has been unable to break into the league, despite multiple summer team appearances with the Phoenix Suns. Pullen has many of the same flaws as Elijah Johnson, and it is for that reason that he has spent much of his career overseas in Italy. However, it is likely that Pullen, and Johnson for that matter, will someday get a shot in the NBA, which will be the case if both men stick with basketball. Ultimately, these best and worse cases are not the only parameters, as it is possible that any given player over or under achieves by a substantial margins, but it is likely most if not all of the players will find themselves between these margins, and it should be fun to watch where they end up this season. too. This sort of clever work and exposure! Keep up the amazing works guys I’ve included you guys to my own blogroll.